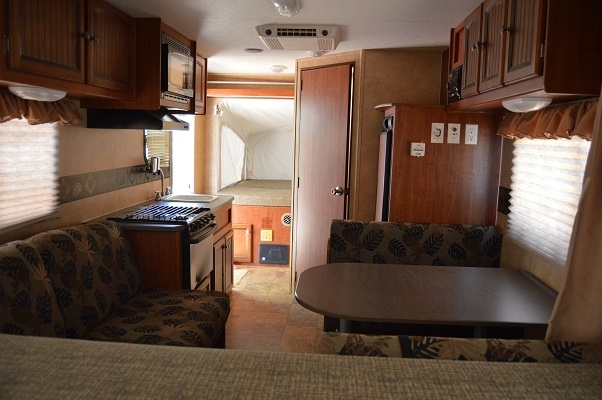 You and your family will enjoy this fun travel trailer as you explore Texas and the country. It is 18.5 feet long with a sleeping capacity of 6-8 people. 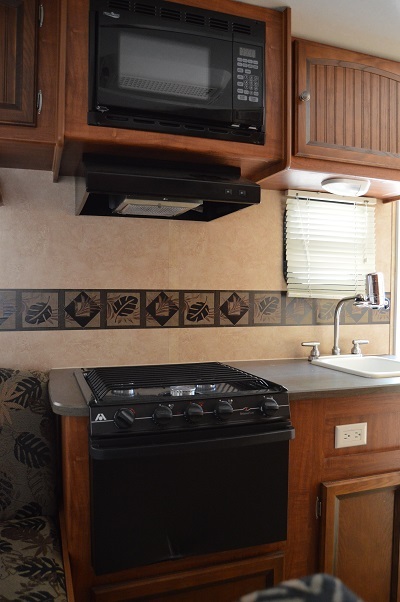 This trailer was designed by Jayco for your enjoyment. It has the high efficiency Atwood Appliance collection that includes a 6 gallon gas hot water heater, furnace, and a 6 cu ft refrigerator. The interior includes chocolate colored upolstrey, cherry hardwood cabinet doors, pleated shades, residential furniture, cushions and window treatments designed and made by Jayco. 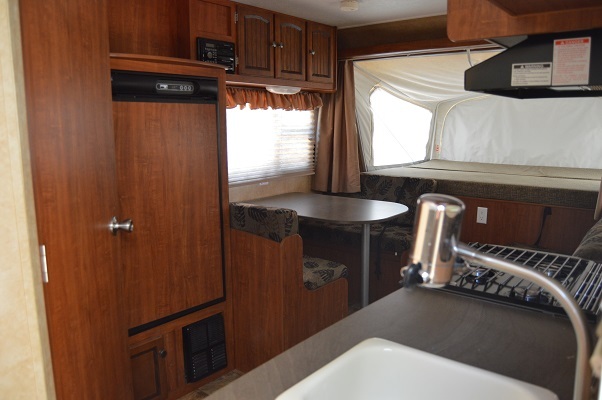 The trailer includes two sleeping areas that extend from the front and rear of the trailer, a dinette table, a microwave, a tub shower, lavatory, toilet, and a 10 foot electric adjustable pitch patio awning. There is a 28.5 gallon fresh water tank, a 30.5 gray waste water tank and a 22.5 gallon black waste water tank. The trailer will be easy to pull with a gross weight of 3500 pounds and a 400 pound dry hitch weight. Please call 830-386-3005 to make an appointment to see the trailer.